Dr. U.B. Pavanaja conducted a Kannada Wikipedia workshop on March 1, followed a by edit-a-thon on Mar 2, 2014, at Sagara. 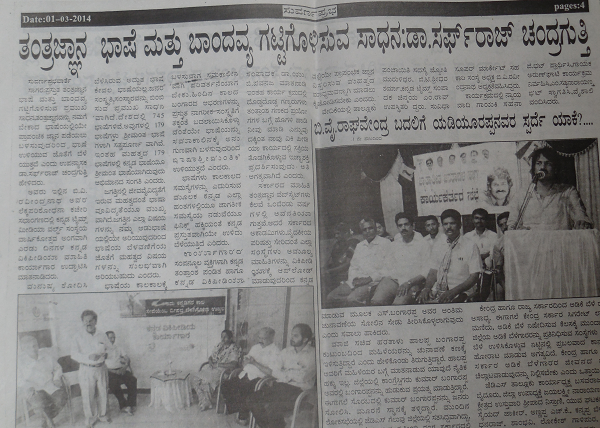 A report of the inauguration program, appeared in Suvarna Prabha, Sagara on March 1, 2014. A scanned version of the report is given below. The event was organised by Kannada Times Sagara and co-sponsored by CIS-A2K.